With low costs, legendary reliability and excellent driving comfort, the qualities of the Atego set it apart from the competition in light-duty short-radius distribution. 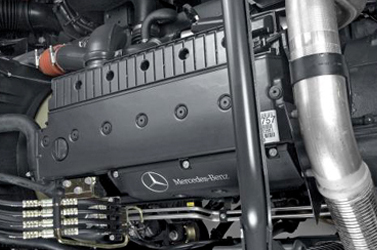 The fuel-efficient and reliable BlueTec(R) engines in the Atego are designed for particularly economical operation and are optionally available with a Euro 5 rating. Four cabs for a wide range of applications. The two L-cabs have space for comfortable beds for jobs that call for extended resting periods. While the two S-cabs are ideal for city distribution - compact external dimensions yet spacious on the inside. The L-cab with raised roof offers outstanding comfort and room for two beds. 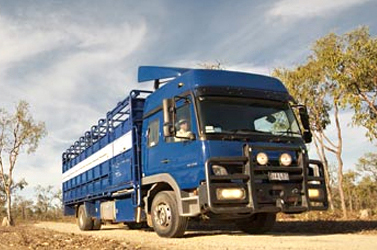 For operations where rest is essential, the comfortable L-cab is equipped with a single bed. The S-cab variant extended at the back offers additional stowage and an even greater sense of space. The standard-specification S-cab is the perfect choice for city distribution. A host of equipment variants and configurations are available to give your cab the personal touch. For a comfortable drive and excellent stability, parabolic springs and maintenance-free rubber molecular bearings are fitted as standard. Even greater comfort is possible with the maintenance-free air suspension - with rear-axle wishbone for all Atego trucks weighing 12 t and above - for better handling. Either as air-sprung rear axle in combination with steel springs at the front axle or, from 12 t, as full air suspension, optionally. And always with the standard Telligent(R) level control system, which allows the frame to be raised and lowered at loading bays, for example. To deliver optimum performance, the Euro 4 and Euro 5 engines in the Atego extract the very last drop of power from the fuel fed to them. And they do so with the environment in mind thanks to BlueTec(R), the SCR technology from Mercedes-Benz. Their reduced CO2 emissions are unrivalled, for instance, and nitrogen oxide (NOX) and particulate emission levels are also very low. Their outstanding efficiency also stems from the proven Telligent(R) engine management system, which orchestrates a highly efficient combustion process with low emissions. In addition, overall repair and maintenance costs are kept low through the use of low-maintenance and maintenance-free components and service fluids, such as the maintenance-free hydraulic transmission fluid. 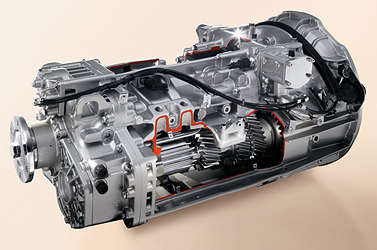 Effective power transmission is largely dependent on the fine tuning of the engine output, transmission and rear-axle ratio. In the Atego, 6-speed syncro-mesh transmission, Allison Automatic transmission and a 9-speed direct transmission (with eight gears plus crawler gear) are available. With its hydraulic/pneumatic gearshift, changing gears is easy. 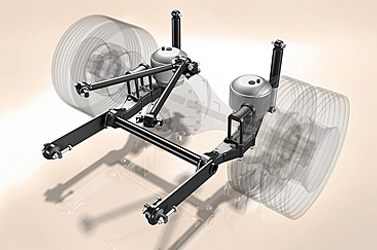 Thanks to the good crawler and reverse gear ratio, precise manoeuvring is possible at low vehicle speeds. This transmission also has the advantage that the hydraulic oil lasts for the lifetime of the vehicle, thus reducing maintenance work. The tried-and-tested Telligent(R) automated gearshift is also available.